If you have any questions about this product by Dormont, contact us by completing and submitting the form below. If you are looking for a specif part number, please include it with your message. 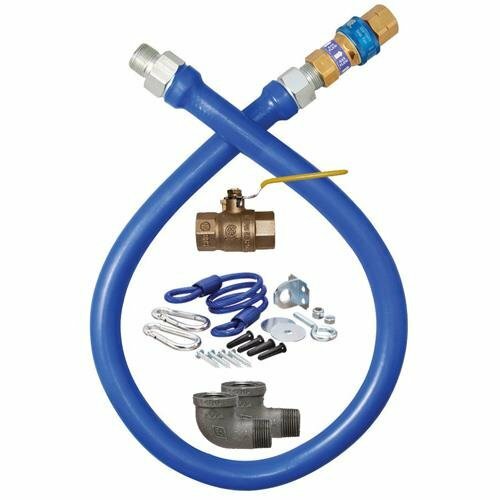 BrassCraft CSSC45R-36 P Safety PLUS Gas Appliance 5/8" OD Connector with 1/2" MIP EFV x 1/2" FIP x 36"
Brasscraft Cssc12R72 P Safety Plus Gas Appliance Connector With 5/8" Od Efv And 3/4" Mip x 3/4" Fip x 72"
10 1/2 Inch PermaDrain Safety Strainer Basket. Fits 12 Inch Floor sinks. For Zurn, Oatey, Wade, Josam, Smith, and Other Floor Sink Brands.